Bent Architecture, while being great friends, and studio share colleagues, are also amazing award-winning Architects. 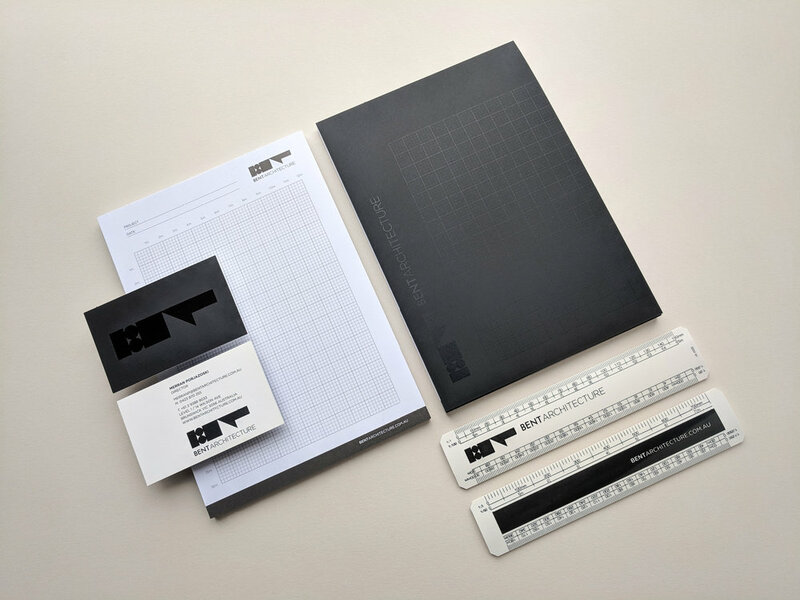 Opening their studio doors in 2003, Bent Architecture asked us to develop their first corporate identity to best represent their fresh, dynamic, youthful take on architecture. 13 years and many awards later, they have now required a new corporate identity to represent their well established position within the architectural landscape of Australia. We have created an identity that speaks of both their name heritage and their design aesthetics, but most importantly, of their integrated and process-driven approach to every project they create.